Being efficient – Roof insulation – keep it cool in summer, and hot in winter! Energy efficiency is something everyone can aim for – its typically only a minor expense and long term you save. Heck, given our electricity costs, short term we save! Today, I look at roof insulation. 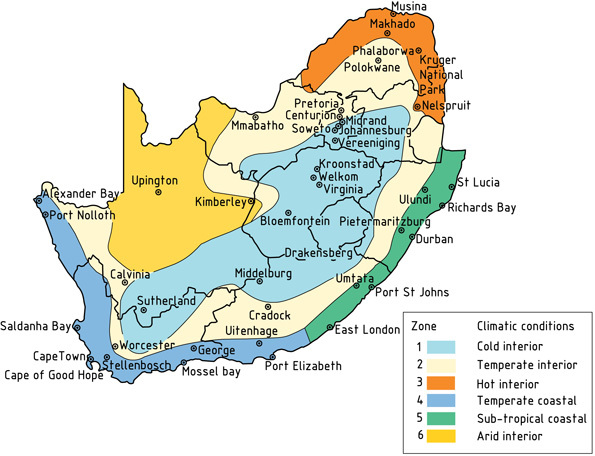 In Cape Town, we have hot summers, and coldish winters. Sure, it *feels* cold to us, but I’ve spent many a winter in far colder places. The worst being Harbin at -40c! #1 it does freeze before it hits the ground. SANS Efficiency rules (SANS 10400-XA) recommends an R value of 3.7 for insulation in Cape Town homes. (This is over and above the typical R values for roofing). Whats an R value, I hear you ask? An R value is the capacity of an insulating material to resist heat flow. The R is for… resistance. A roof typically has an R value of 30. A brick wall an R value of 19. The higher the R value, the less you lose to heat. Obviously in winter, we want to ensure that the R values for the house are high, so that we don’t lose any heat. Adding insulation to improve the roof R values is a no brainer. As everyone knows, heat rises. Surely insulating the roof prevents that heat from escaping? Yes… However, what most people don’t think about is that although heat rises, the entire roof is also a heat sink. Go into the roof in on a summer day. How much hotter is it than the rest of the house? Heat rises, but most of the heat is from the sun to roof, not rooms to ceiling. Most roofs are made from metal or tile, those absorb a lot of heat. The thing thats going to get heated the most is the roof area. Insulating that will prevent a lot of the heat coming in from that area. Heat does rise, but the majority of the additional heat in the home is generated from the roof in summer, not the rest of the house. That same insulation that helps us keep the house warm in winter helps us in summer. Insulating the roof prevents the heat from the roof area getting back into the house. But…. what about the heat in the roof from winter? – don’t we want that? Yes, we do, but keeping the rooms to a stable temperature is more important. We live in the rooms, not the roof, so we want to keep the rooms as stable a temperature as possible. Insulating them top (ceiling+insulation), bottom (floor), and sides (walls) makes that happen. Ok, so getting insulation makes sense for both winter, and summer. What should I buy? Going back to the SANS values per region, we have a recommended number for insulation values. Note: That number is a *minimum* not a recommendation. Your best bet is to always exceed the minimum where it makes financial sense. So, again Cape Town has an recommended R value of 3.7 for roof insulation. What that means in people terms is that for effective cooling / heating, Isotherm or similar insulation needs to be about 135MM or so thicker to exceed that value. What insulation should I get? My personal choice is to recommend Isotherm for insulation. Its basically plastic, so is harmless to work with, and it won’t degrade like other products. Its really easy to work with too. It doesn’t have issues with water either, so is less of an issue with leaks. DIY’ing a roof install with it is fast and easy too. The rolls are light and it pretty much lays itself out when you unroll it. Once again, remember that our Cape Town R value is 3.7, so a minimum of 135mm is recommended. Again, if you can afford thicker rolls do it. While this offers marginally higher R values than Isotherm, its a pain to work with. If you’re getting a professional installer to do it, then this is your choice, if you’re DIY’ing – avoid. Needs face masks, and gloves, and makes working in the ceiling space annoying afterwards as the fibreglass gets into your skin. Downsides – its a little worse than Isotherm with regards to water, but nowhere near as bad as cellulose. Again, recommended thickness is at least 135mm for Cape Town. This is usually the cheapest solution. Usually its blown into the air space with a blower and the benefits are that its extremely fast to install. You need to put down at least 3-4 inches though. There are major downsides – while it offers moderate R values initially, it does tend to settle, and the R values reduce somewhat after a few months. It also has bad issues if there is a leak, as it absorbs the water, and the resulting weight can collapse the ceiling boards. Lots of examples of that on google images. Lastly it also gets everywhere – you’ll be finding bits floating down for years to come. Paint the roof white, as this is the most reflective color. Mount solar panels, and kill 2 birds with one stone – my roof is partially covered by solar panels, this helps, as they’re mounted above the roof, and keep the underlying area cool, plus generate electricity. Its a little more expensive than roof insulation though! Install those roof mounted twirly extraction fans, as those help drawing the hot air out. http://www.nrel.gov/docs/legosti/old/15771.pdf – Rather good US Gov Document on this topic. This entry was posted in Energy Efficiency and tagged insulation, isotherm, r value, roof, think pink on January 8, 2016 by lawrence. © 2013 Going Solar. All rights reserved.